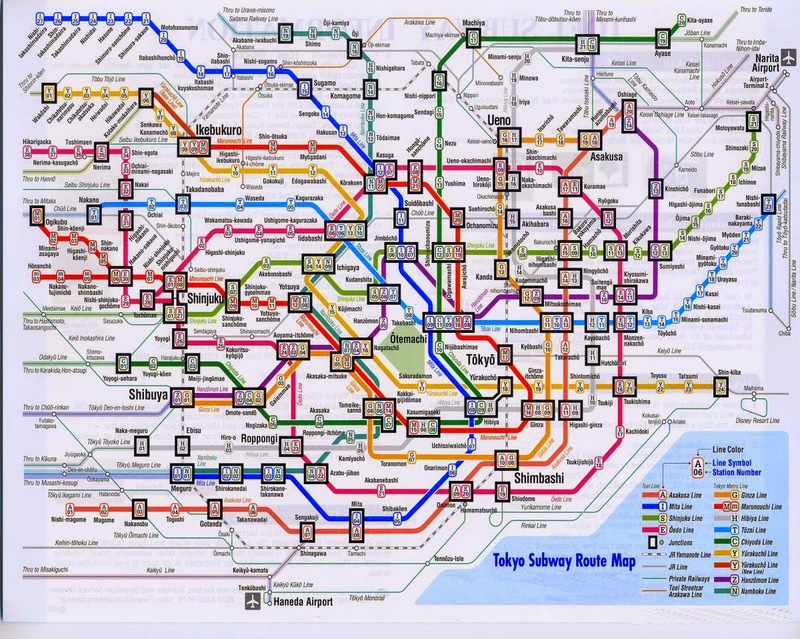 For those who are traveling to Tokyo, Japan for the first time, you are definitely feeling nervous as you try to understand how to read the complicated subway map which connect 18 subway lines to each other. Initially, I had similar dilemma trying to understand the subway map but I didn't get the concept until we tried riding the subway train on the first day at Tokyo, Japan and somehow, we began to understand the connection of every different colour coded with a letter to represent the subway line while the number at the bottom of the letter shows the station number. 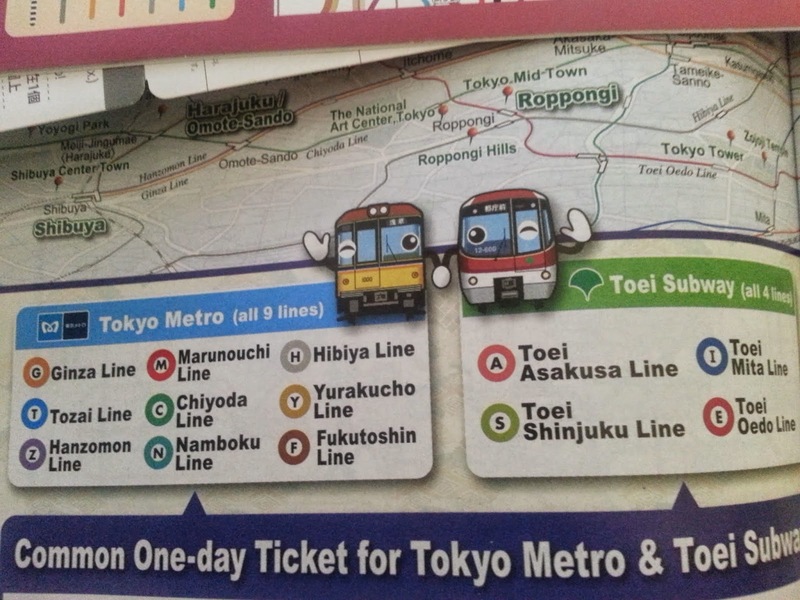 Actually there are only five main subway companies which operate these 18 subway lines in Tokyo. Japan is well-known for proper etiquette. When you ride on escalator, please remember to follow Japanese Escalator Etiquette. When you are traveling at Tokyo and other parts of Japan, please stand and stay on the LEFT side of the escalator in order to give way to other users who are on the hurry to pass by. On the other hand, when you travel to Osaka, please stay and stand on the RIGHT side of the escalator in order to give way to other users to pass by. Alternatively, you can ride on the City Train or Yamanote Line (JR East Green Line) to explore some of the city's famous landmarks and attractions in Tokyo and helps to save your journey time from interchanging the subway lines. 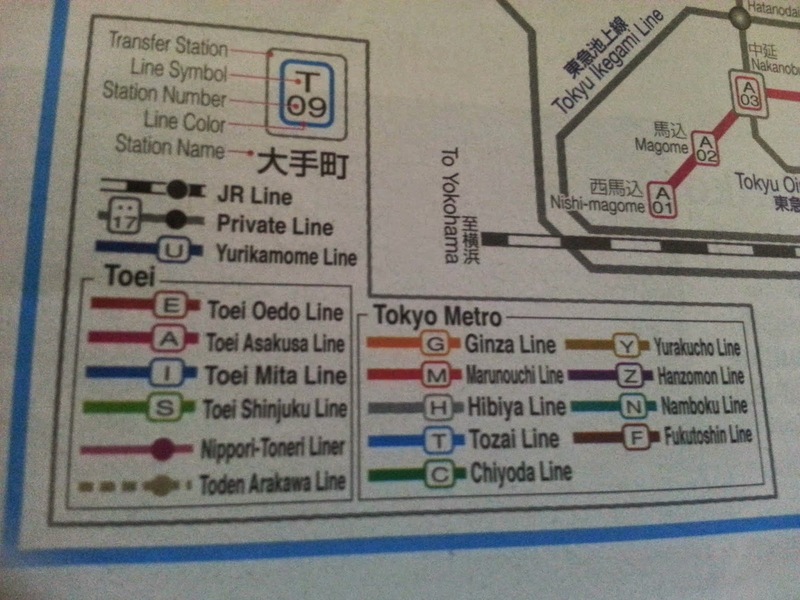 The Yamanote Line connects most of Tokyo's major stations and urban centers like, Tokyo Station, Akihabara, Ueno, Shinjuku, Harajuku, Shibuya, Ginza, Roppongi Hills, Ebisu and Ikebukuro. I just came across your fantastic blog! As I plan for my first trip to Japan, I find the information you have provided extremely valuable. Japan is a beautiful country. I hope you will have a wonderful and memorable trip in Japan. Please continue to support my blog.